32MB of memory, 4M on planar, the rest is on two memory boards. 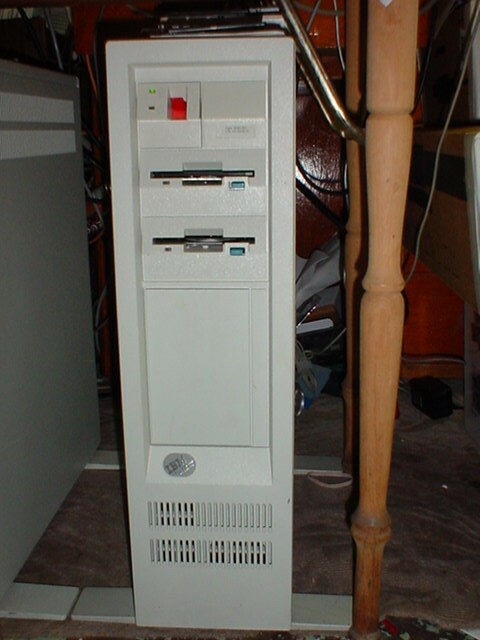 IBM 16/4 Token Ring "Short Card"
Runs an Intel 80386DX-16 with Math-Co.
Dual 1.44 Floppies & Unused Sysgen 5.25" HD disk adapter. IBM (found it NIB, believe it or not!) 1200 Modem/A. 10MB of memory, 4M on planar, 6M on Kingston KTM-16000/386 board. IBM 8513 Color monitor, which has the best color and clarity I've seen in any display, new or old...and this one's 11 years old! The Model 80-A31 is presently in use as a file server for my token ring network. As for the Model 80-311, I was using it to run my home automation stuff, and I also did a lot of batch file programming there. Unfortunately, it seems that there has been a hardware failure someplace involving the hard disk, controller, and planar, so I've retired the 80-311 for now.